IppStar, with its long history of organizing nuts-and-bolts conferences across India, is organizing the Packaging Design Innovation Technology (PDIT) conference at PackTech 2016. The conference, organized in partnership with Messe Dusseldorf India in Mumbai, is not the usual packaging conference with back-to-back lectures from marketing executives, but rather an attempt to knowledgeably address and interact on the difficult themes of food security and the environment together with the excitement of design, new innovations and technologies in packaging particularly as they pertain to food. The conference will be addressed by Werner Dornscheidt, president and chief executive officer of Messe Dusseldorf, and one of the main founders and initiators of the Save Food movement, who will present the keynote speech. The initial findings of the FAO and Messe Dusseldorf sponsored study on food wastage in India will be presented by Venu Gopal Chintada on the losses in the rice, milk, mango and chickpea value chain in Andhra Pradesh and some of the potential solutions. The design sessions will begin with Gerard Caron, head of the Pentawards jury, presenting some of the global innovation and sustainability trends in packaging design. Packaging designer Rob Vermeulen will examine packaging design and Save Food in ‘Dare to Make a Difference.’ The design sessions will contain interactions with a panel of packaging designers and packaging development team leaders from the brand owner’s end. 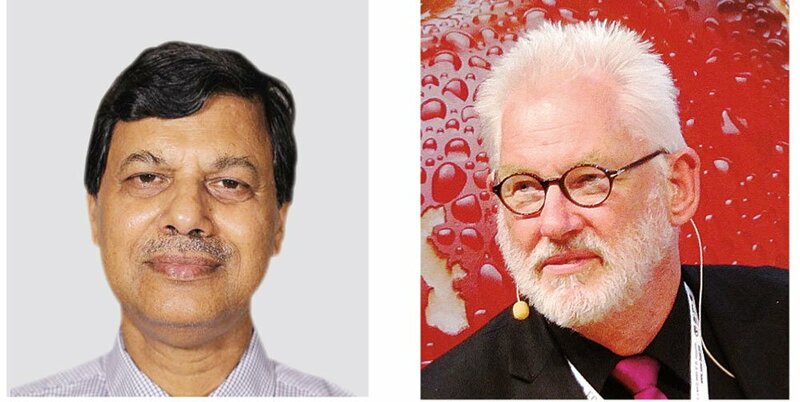 Vermeulen, when I met him recently at the K exhibition in Dusseldorf, was rather keen on decoding the Indian food supply chain in light of the consumer and technology trends that can sustainably improve it. He is keen to motivate the packaging design community at a time of deep global transition. Bill Perell of PopPack will address sustainability from the innovator’s point of view in his presentation on consumer-driven sustainable solutions in packaging. Prabodh Halde of Marico will speak on the compliance and safety issues of food packaging while Sukhdev Singh Saini of General Mills will present innovations and trends in new packaging materials and technologies. Debabrata Deb, a leading expert in Indian flexible packaging, will speak on “Why India needs active packaging!” We expect the conference to be addressed by leading retailers and organized agricultural processors as well. Process innovations will also be presented by global technology leaders including Esko and HP. The sustainability discussion at the PDIT conference will be led by Swati Singh Sambyal of the Centre for Science and Environment, whose recent contribution to the zero landfill movement has tried to meaningfully tackle the nation’s indiscriminate production of 62 million tons of municipal solid waste each year. Deepak Manchanda, who wrote an open letter to Prime Minister Modi in our pages suggesting that Swachh Bharat should also address packaging waste, will talk about some of the simple structural issues in recycling of packaging waste. The PDIT conference is an attempt to move the industry’s conversations to a new level by tackling the intertwined themes of safety, health and environment together with the opportunities that packaging design and technology present to agriculture, industry and the service sector. How can we transition the world’s second largest producer of fruit and vegetables and the largest producer of milk into a society of nutritional abundance with creative, innovative and sustainable food production, processing and packaging? The solutions are connected and require a virtuous spiral of interaction and action. We hope to attract packaging designers and developers, brand owners, government and institutional movers and shakers, as well as the community of packaging technology providers, experts and packaging converters themselves. To register for the conference please go to www.ippstar.org or contact Harmandeep Kaur at harmandeep@ippstar.org. Additional information is on pages 8 and 9.